During the last decade Rotterdam home-based dj/producer Bas Mooy (1976) has been active on many fronts in the techno scene. 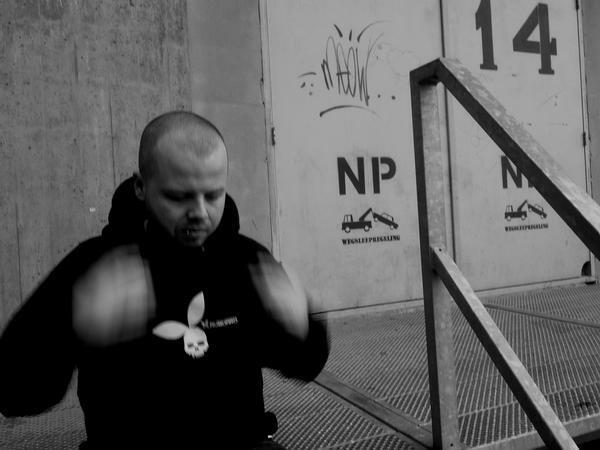 Heavily influenced by a city that breaths industrial strength twenty-four-seven, he gradually found his way into creating an unique dark sound, which lead him to the forefront of the European techno scene. In an industry where following trends seems to be the core business these days, he gained a lot of respect for staying true to his own sound. Over the years Bas has been a hard working and devoted producer, spending many hours in the studio and putting out music on respected labels such as Planet Rhythm, Roots, Fine Audio Recordings, Naked Lunch, Impact Mechanics, Submissions, Patterns, FK Recordings and of course his own imprints Audio Assault and Arms. His recent releases on Planet Rhythm and Audio Assault got big support from the industry's main players such as Speedy J, Dave Clarke, Luke Slater, Oscar Mulero and Cari Lekebusch. With a new mix cd coming up in January and upcoming releases on several well known labels, he shows no sign of slowing down.